Smooth jazz has been accused of many failings, among which is simplicity. Much of this session is cast loosely in the smooth-jazz mode, with saxophone, violin, piano and guitar set over easy, loping soul grooves, but this is perhaps the first time the genre has been treated to 7/8 meter. The album, all written by Sofia, Bulgaria-born, now Florida-resident Dimitri K, is named after the opening track, which, while largely following 4/4, adds a piquancy that’s probably alien to Grover Washington et al via an interlude in which easy-listening propriety is dishevelled by judiciously placed bars of 7. The CD Baby website says 7/8 is recommended if you like Pat Metheny, George Benson and Larry Carlton or smooth jazz, soul-jazz, lounge or fusion. That’s pretty accurate, with Valeri’s guitar on several tracks (e.g., “Inferred” and “Subtle Speculation”) recalling the smouldering side of Larry Carlton while GB is clearly discernible in the clean tone and octaves of “Blue Room”. Metheny’s not really here in the guitar-playing but in the relaxed, almost pastoral pace of most of the music. The album’s full of easy, medium-tempo grooves. However, another guitar influence, possibly inadvertent, could be added to the mix: The soaring lines and sustained tones of the title track remind of nobody more than Jeff Beck and you’ll easily mistake the first two or three notes of the violin melody that opens “Interpretation” for Jeff Beck’s “Cause We’ve Ended as Lovers”, where Beck’s guitar has that violin tone and phrase much exploited by electric guitarists with fuzz boxes. And another: Valeri’s glissandi on “Your Way” bring to mind Steve Khan. But Dimitri K. emphasises that “What’s important is the music, not the format!” He’s a composer, concerned with the big picture, not so much supplying backgrounds for soloists. As a writer he’s pleasingly fond of creating pensive moods. A case in point is “Your Way”, placed over a bass rhythm recalling Bill Withers’ “Lovely Day”, albeit in the minor. The bass player remains a mystery but he or she occasionally sits on tantalisingly retarded lines in triplet minims recalling a favourite device of the great Anthony Jackson. The hanging dissonances that the leader favours are also here in abundance. These two instances describe the abiding restraint that characterises the session. Individualised composerly colour is also subtly deployed via two folk ensembles that hark back to Dimitri’s eastern European roots. “Intuitive” briefly introduces ney-like sounds and semitone melisma courtesy of the Lachezar Yordanov folk ensemble, while female vocals from the Silviya Milovanski folk group are added to “Oculus”. However, in both cases the ethnic colours are fleeting tonal colours bent to the dominant smooth-jazz purpose. Back in Sofia, Dimitri K won a national contest for youth pop composers in 1982 and wrote songs that were hits in Bulgaria, some selling over 300,000 copies. This second album in six months (Blue Cat was reviewed JJ September 2018) suggests he’s working hard towards similar distinction in the USA. Collectively: Alvin L. Giles, Rob Mullins (p); Devrick Bell (s); John Valeri, Van Galen (g); Konstantin Dimitrov (vn); Jamie Strefeler (o); Jochy Rodriguez (t); the Lachezar Yordanov folk ensemble; Silviya Milovanski folk group. Orlando, FL, 2018. 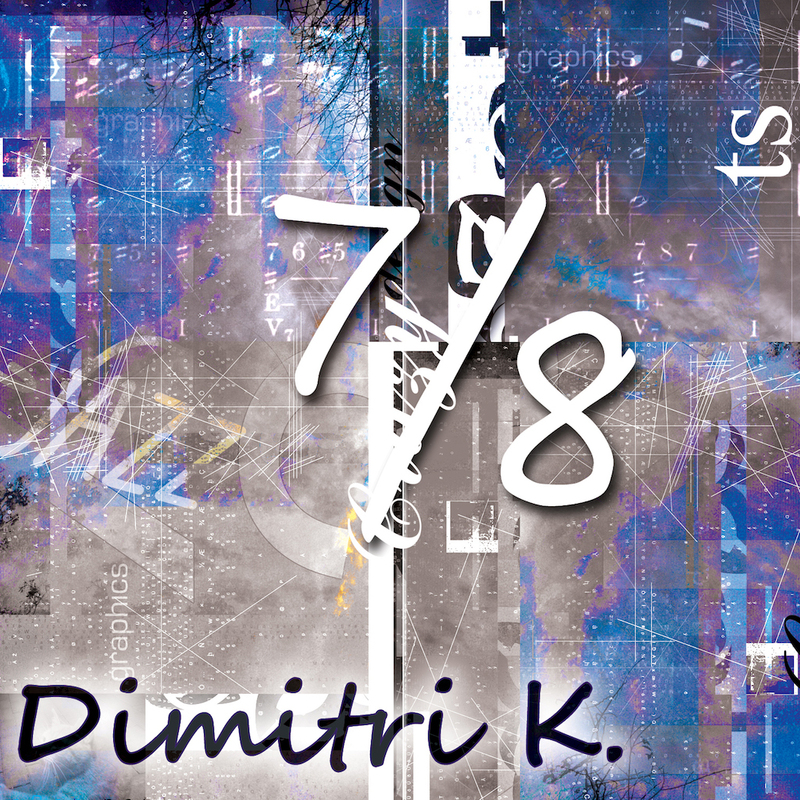 "Back in Sofia, Dimitri K won a national contest for youth pop composers ... this second outing in six months suggests he's working hard towards similar distinction in the USA".